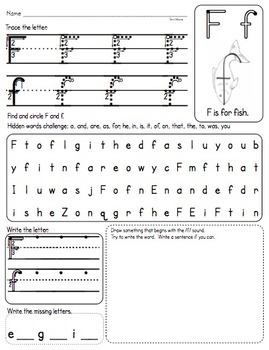 This is a package of 26 Alphabet upper and lowercase letter writing practice worksheets. 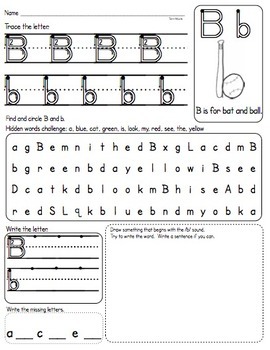 Items include letter writing practice, a keyword for the letter sound, a letter and word search, fill in the missing letter in abc order, and a drawing and word or sentence writing component. 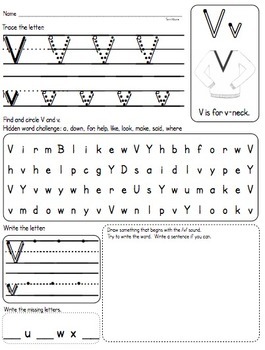 These are great for differentiating!